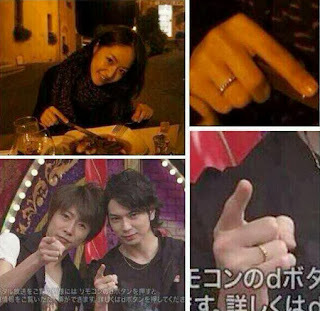 unleashthegeek: The alleged Maotsujun couple ring. This surfaced sometime back but I had time to look it up a little more today. Might be similar rings. Looks like a ring from the Boucheron Bridal Collection. There is a Japanese Boucheron website as well, and it costs ¥143,850 (US$1466). In its description - 明るい輝きで永遠の愛を祝福するリングです。 Akarui kagayaki de eien no ai o shukufuku suru ringu desu. A ring that celebrates eternal love with its radiance. Maybe Shukan Josei had this in mind when they allegedly had the scoop of a super popular idol getting married. omg kamisama let this be true! I HOPE IT`s TRUE I WISH <3 So LIKE JUN-MAO forever.